Deviant Christian activity has become the norm today. You can find virtually anything to be accepted and promoted from the pulpits of once “faithful” Churchs. This slide has not gone unannounced by Scripture, for example: 2 Timothy 3:1-2 “ But realize this, that in the last days difficult times will come.” Matthew 24:11 “Many false prophets will arise and will mislead many.” Matthew 24:24 “For false Christs and false prophets will arise and will show great signs and wonders, so as to mislead, if possible, even the elect.” Matthew 24:10 “At that time many will fall away and will betray one another and hate one another.” But, the truth is, no one is listening or even seems to care. Lighthouse Trails Research  has been faithful in exposing much of this activity by those who are propagating a Christianity that is not part of the message Christ came to deliver, a message that has no ability to deliver from the coming judgment. This new gospel that is no Gospel at all is the device of men for their own benefit. As the clock ticks ever closer to midnight we must be sure that our anchor is secure. Please read the following article for the sake of your spiritual health and subscribe to their free newsletter. Gloria Gaither is the author of many influential songs including “There’s Something About That Name.” She writes glowing reviews of the two books listed below. One by Richard Rohr, a Roman Catholic priest and the other by Sue Monk Kidd who believes herself to be a goddess. These book reviews are from Bill & Gloria Gaither’s Homecoming Magazinewebsite. “I often went to Catholic mass or Eucharist at the Episcopal church, nourished by the symbol and power of this profound feeding ritual” (Kidd, The Dance of the Dissident Daughter, p. 15). “I would go through the gate with what Zen Buddhists call ‘beginner’s mind,’ the attitude of approaching something with a mind empty and free, ready for anything, open to everything. . . . I would give myself permission to go wherever my quest took me” (The Dance of the Dissident Daughter, p. 140). “I remember a feeling rising up from a place about two inches below my navel. . . . It was the purest inner knowing I had experienced, and it was shouting in me no, no, no! The ultimate authority of my life is not the Bible; it is not confined between the covers of a book. It is not something written by men and frozen in time. It is not from a source outside myself. My ultimate authority is the divine voice in my own soul. Period. . . . That day sitting in church, I believed the voice in my belly. . . . The voice in my belly was the voice of the wise old woman. It was my female soul talking. And it had challenged the assumption that the Baptist Church would get me where I needed to go” (The Dance of the Dissident Daughter, pp. 76, 77, 78, emphasis added). Bill and Gloria Gaither will be hosting the 19th annual Family Fest in May and will be featuring The Shack author William Paul Young. The Gaithers have been a popular Christian music team for many years. . . . In 2005, the Gaithers held their Gaithers Praise Gathering in which they invited Brian McLaren, Leonard Sweet, and other emerging church leaders to be speakers. In 2008, at the Gaither’s Fall Festival, Brian McLaren’s book, The Secret Message of Jesus (see Faith Undone  for information on that book) was featured in the Readers Breakfast Club. 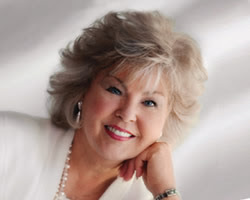 Gloria Gaither is also on the Advisory Board for the Spirit and Place Festival, an organization sympathetic to the “new (age) spirituality.” McLaren is a featured personality in that organization. The Gaither’s promotion of The Shack, Brian McLaren, and Leonard Sweet are strong indicators that the Gaithers are attracted to emerging spirituality, and this will no doubt influence many of their followers. 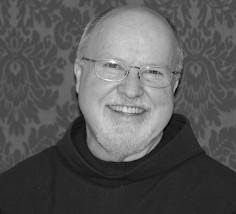 As for this promotion of Richard Rohr and Sue Monk Kidd, this is a perfect example of the downward slide of deception. Sadly, the Gaithers have millions of followers through their music, and now these followers are being pointed to two New Age panentheists rather than to the Cross. When the Gaithers wrote and sang “There’s Something About That Name [Jesus],”  who would have thought they would be able to sing such high praises for people who are following a different Jesus and a different Gospel? [Sue] Monk Kidd’s spirituality is spelled out clearly in her book, When the Heart Waits. She explains: “There’s a bulb of truth buried in the human soul [everyone] that’s only God . . . the soul is more than something to win or save. It’s the seat and repository of the inner Divine, the God-image, the truest part of us. . . .
How did a Baptist Sunday school teacher come to believe that divinity is within all? [A]Sunday school co-worker handed her [Monk Kidd] a book by Thomas Merton telling her she needed to read it. Once Monk Kidd read it, her life changed dramatically. 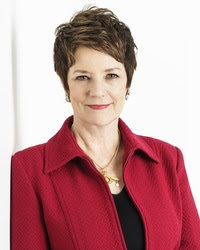 What happened next completely reoriented Sue Monk Kidd’s worldview and belief system. She started down the contemplative prayer road with bliss, reading numerous books and repeating the sacred word methods taught in her readings. As I grounded myself in feminine spiritual experience, that fall I was initiated into my body in a deeper way. I came to know myself as an embodiment of Goddess…. Mystical awakening in all the great religious traditions, including Christianity, involves arriving at an experience of unity or nondualism. In Zen it’s known as samadhi…. Transcendence and immanence are not separate. The Divine is one. The dancer and all the dances are one. . . . The day of my awakening was the day I saw and knew I saw all things in God, and God in all things (pp. 161-163, Dance of the Dissident Daughter). Rohr’s spirituality would be in the same camp as someone like Episcopalian panentheist Matthew Fox (author of The Coming of the Cosmic Christ). Rohr wrote the foreword to a 2007 book called How Big is Your God? by Jesuit priest (from India) Paul Coutinho. In Coutinho’s book, he describes an interspiritual community where people of all religions (Hinduism, Buddhism, and Christianity) worship the same God. For Rohr to write the forward to such a book, he would have to agree with Coutinho’s views. On Rohr’s website, he currently has an article titled “Cosmic Christ.” One need not look too far into Rohr’s teachings and website to see he is indeed promoting the same Cosmic Christ as Matthew Fox – this is the “christ” whose being they say lives in every human-this of course would nullify the need for atonement by a savior.